In the last few years, I have started to make better eating decisions; coming into middle life and getting diagnosed with a few medical issues, combined with the drive to lose weight several years ago, all contributed to my interest in whole and clean eating. Yummy treats are loved by most equines. Don't overdo it, but enjoy sharing time and good treats with your equine. I started with moving my horse’s main supplementary food intake from having at-will round bales in front of them (EquiMed article about Free Feeding Hay to your horses in September) to using whole foods (carrots, apples, watermelons) as treats, and then I stumbled onto making my own homemade treats. For the last few weeks I have put about six recipes to the cooking and “testing on the horses” and here is what I found: Misty may be an easy keeper on hay and grain, but on treats she is PICKY - so she is on whole fruit only. Nan, on the other hand, either turned her nose up or ate them like they were going out of style. Please keep in mind that these homemade treats are HIGH in calories and fat, so go easy on the treating, limit the number per day, and the number you feed at a time. You could grind the oats into a flour-like consistency if you wanted to not use wheat in the recipe. You can add or not add the egg. I found that with the egg they were a bit runny and, on the first run-through, the batter was just too wet to bake to the level I wanted them at. The additional sugar is up to you. 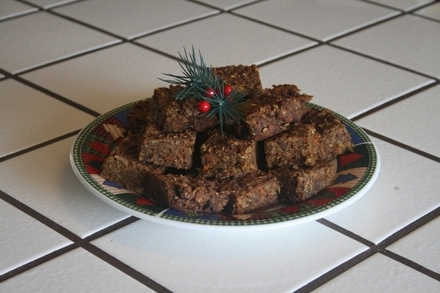 The molasses is plenty sweet and Nan ate them with and without the brown sugar. Pre-heat your oven to 300 degrees F. Mix all ingredients. Use a muffin tin and either a small ice cream scoop or a 1/3 cup measuring cup so that you have a consistent amount of batter per treat. I leveled the tops off and started at about 30 minutes of bake time. I tested them every 5 minutes after that and it was about 30-45 minutes before the treats were at the crunch level I wanted. You could leave them at the 30 minute or so stage if you want chewier treats. Refrigerate in an air-tight container or zip-lock bag after treats are cooled. Preheat oven to 350 degrees F. Mix all ingredients. Oil a 9 x 9 inch square cake pan OR use muffin tins. Spread the batter evenly in the cake pan, or portion evenly in muffin tins, and bake for about 30 minutes. (It may need more or less, depending on your oven.) The batter will start to shrink away from the sides and it will be firm to the touch. If using the cake pan, slice into squares while still warm. Keep in the refrigerator in an air-tight container or zip-lock bag. AGAIN, please feed only one or two at a time as these are VERY rich, HIGH in calories and whole, so DO NOT OVERFEED. 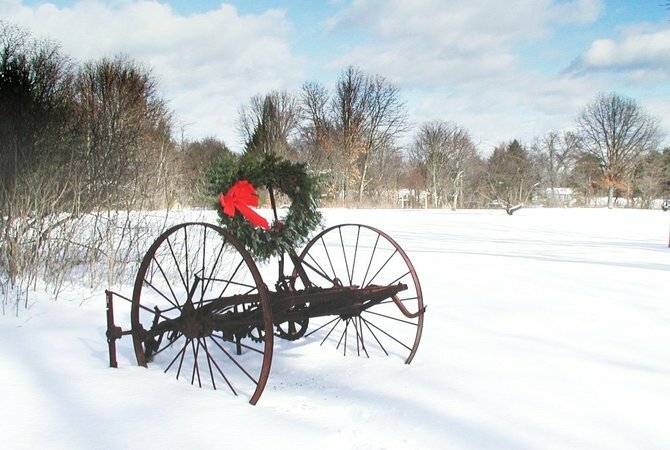 Wishing all of you and yours a HAPPY HOLIDAY SEASON and Happy Trails….